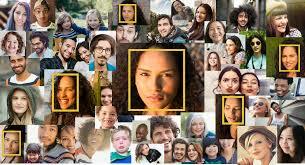 Amazon has weighed in on facial recognition legislation in a blog post, calling for the creation of a national legislative framework for facial recognition and video and photo surveillance in public and commercial spaces. The post also makes five specific points about how the biometric technology can be used in a way that reassures civil liberties advocates and other critics. “These groups have refused to make their training data and testing parameters publicly available, but we stand ready to collaborate on accurate testing and improvements to our algorithms, which the team continues to enhance every month,” he writes. Amazon has engaged with various stakeholders over the past several months, according to Punke, to develop its proposed guidelines, which the company hopes policymakers consider as they evaluate their options for legislation. The first element of Amazon’s guidelines is the need for all uses of facial recognition to comply with law, including those protecting civil rights. Punke points out that AWS’ Acceptable Use Policy (AUP) prohibits illegal use. The second guideline is the necessity of human review for law enforcement deployments to ensure the protection of civil rights, rather than to rely on facial recognition as the sole determinant in a decision. In law enforcement identification scenarios or others that could threaten civil liberties, presumably such as at border crossings, Amazon recommends using a confidence threshold of 99 percent. Punke also writes that law enforcement should be transparent in its use of the technology, which means publishing regular transparency reports. The reports should indicate if and how facial recognition is used, along with the safeguards in place. When video surveillance with facial recognition is used in public or commercial settings, visible written notice should be provided. The company notes that state laws address these concerns in some jurisdictions, but not all. The company also remains committed in its support for standardized testing methodologies as a way to improve accuracy and remove bias, according to the post. The company is engaging with NIST and other stakeholders, and supports efforts by academics to establish independent trusted criteria, benchmarks, and evaluation protocols for facial recognition. Punke also invites researchers to apply for AWS Machine Learning Research grants to receive support for their participation in those initiaitives. Like any technology with the potential for misuse, Amazon believes facial recognition should be subject to an open and earnest dialogue, rather than a ban or condemnation. “AWS dedicates significant resources to ensuring our technology is highly accurate and reduces bias, including using training data sets that reflect gender, race, ethnic, cultural, and religious diversity. We’re also committed to educating customers on best practices, and ensuring diverse perspectives in our technology development teams. We will continue to work with partners across industry, government, academia, and community groups on this topic because we strongly believe that facial recognition is an important, even critical, tool for business, government, and law enforcement use,” Punke concludes. Meanwhile in Vietnam, an individual was asked by Amazon to take a five second video of his face as he set up a seller account on the on-line retail platform, and seller consultants believe the company may be testing biometric verification of seller identities in a bid to reduce fraud and counterfeit goods on the site, Buzzfeed News reports. Amazon is trying to cut down on multiple seller profiles, a problem linked to fake sellers and counterfeit goods, and prompted the user to take a video with his webcam, without an option to decline. The person shared details of the prompt with Buzzfeed anonymously. The seller told Buzzfeed that he cannot find the video in his seller profile, or find a way to delete it. ACLU of Norther California Technology and Civil Liberties Attorney Matt Cagle wonders if Amazon is using the data for purposes beyond seller verification. “Amazon should make it crystal clear they are not exploiting this sensitive face data to, for example, enrich the face surveillance product that a coalition of 90 groups just demanded the company stop providing to governments,” Cagle says. Sellers have previously verified their identities with documents such as state-issued ID, a business bank account statement, a utility bill statement, or data such as a business address or tax ID. This has not stopped the proliferation of numerous ghost or stealth accounts, according to former Amazon marketplace investigator and selling consultant Chris McCabe. Another consultant, Cynthia Stine, told Buzzfeed that sellers who fail facial recognition verification are barred from seller accounts. McCabe says fraudulent seller operations have others open accounts, and then take them over for a payment, suggesting the worst offenders may sidestep the biometric verification measure.